Zest is a funny word. We can use it in many ways. Is zest a noun or a verb? Let's take a look at the essence of zest, what it can provide in the kitchen, and some techniques for gathering this tricky little super-flavor. The outermost rind of citrus is where you find zest for cooking. It is valued for the intense, fresh, and brightening flavor it imparts to food. That is thanks to an abundance of aromatic oils in the rind. However, there is a sub-rind, also known as the pith, which is white in color and directly under the rind. This pith is very bitter and not desirable at all when it comes to cooking. The pith serves only one purpose; to help protect the fruit from predators. 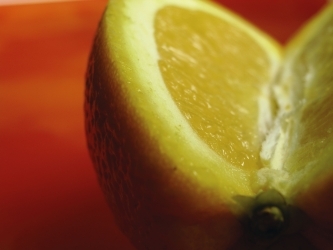 Citrus zest is added in recipes to either add color, intensely strong flavor, or both. There are a number of methods and tools available to harvest the fruit’s zest. You can purchase dried zest in the spice section of the supermarket, but it doesn't hold a candle to the fresh zest you create yourself. Before starting, be sure to scrub the fruit with a vegetable brush and warm, soapy water. This will remove any chemicals or other contaminants which may be on the skin. Rinse very well under fresh, cold running water, then dry. You want to remember when 'zesting' citrus, to be very careful about only zesting, or scratching off, the colorful outside layer. If you start getting into the pith, you have gone too far. If you are using a traditional hand held zester, you will end up with long, skinny stands of zest. A traditional zester looks almost like a miniature back-scratcher. You can also use a pairing knife, but you will have to be incredibly careful only to get the colorful part of the zest and not the pith. A micro-plane grater is basically a very fine hand held grater which can be used to produce finely grated zest. To use a micro-plane, simply rub the lemon or other citrus fruit against the small blades on the grater over a bowl. A micro-plane produces short pieces of zest which are ready to use without further chopping. Of course, if you only have an old fashioned box grater, the type you know from grating cheese, you can zest citrus on that as well. Just try the different grater levels and decide which works best for you. There are times when you might want larger curls of zest and times when you want the zest to be tiny enough to be absorbed into a recipe. Zest is a powerful ingredient you will want to get to know in the kitchen. A little goes a very long way, so you have to know when to use zest. So when should you use zest? Your answer is easy – whenever you want to infuse a dish with incredible layers of citrus flavors. For example, by folding a little citrus zest into ricotta cheese before making baked ziti or stuffed shells, you get a tangy note that works well with the pasta. Putting lemon or lime zest into olive oil and heating it until it begins to sizzle will give you an incredible infused olive oil suitable for many uses. You can also mix zest with brown sugar or honey to use as a glaze. Or, try stirring zest into cake or brownie batter for a surprising flavor 'pop' on your favorite dessert. Zest is an incredible ingredient to lift and brighten many dishes. Enjoy the zest of citrus to add more zest to your meals.